Forums » Grassroots Motorsports » e-350 shopping? Cargo van or box truck? Though still in business and focusing on international business, DHL shut down a lot of their routes and sold off a lot of their trucks. If you see a yellow truck it is a retired DHL unit. The red portion is just a removable sticker. Try Penske first, then Budget or Ryder. Just picked up an E350 extended van. Incredibly heavy duty, adequate power with the triton V8 and tons of room. They are available cheap and really can't be killed with minimal service. 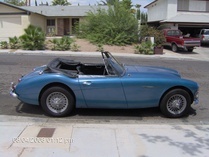 Drove it loaded with gear from socal to Sonoma(for the Vintage races) and back. It returned 15mpg, cruised easily at 75-80 and stable as heck. The example i purchased has 200K on it, not that you'd know it. After a service, new LT tires and a sound system, my crew reported it drove like a new one. Thats right! You could get the 7.3 turbo diesel in those....hippies be damned. Well from looking at diesel fords for my own vices, I was only looking at the turbo 7.3 or the 6.4. The 6.0 seemed to have some teething issues and since the 7.3 turbo seemed to be Fords answer to the Cummins in Dodges, the loyalist felt let down. Check some of the ford truck forums and you start to see the "un-love" for the 6.0L. I wouldnt say to stay away from the 6.0 but I would suggest doing your homework. jrw1621 wrote: ... DHL shut down a lot of their routes and sold off a lot of their trucks. 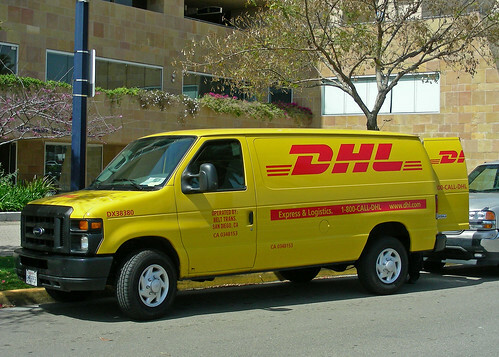 If you see a yellow truck it is a retired DHL unit. I got one of those E150s cheap.. Starting to see more and more of them on the road, and we often wave at each other..
i'm thinking overall that age is my enemy more than miles. also, i'm looking for the option to tow later on.